Rupture of the pulmonary artery or one of its branches during Swan-Ganz catheterization is a complication that is rare but remains fatal in almost 50% of cases. The risk factors and mechanisms involved in the pathogenesis of this accident have been widely reported. Management is twofold: resuscitation procedures and specific medical or even surgical treatment. We report a case of pulmonary artery rupture occurring during Swan-Ganz catheterization that was treated by coil embolization. This technique, which is quick and simple to use, would appear to be very promising. 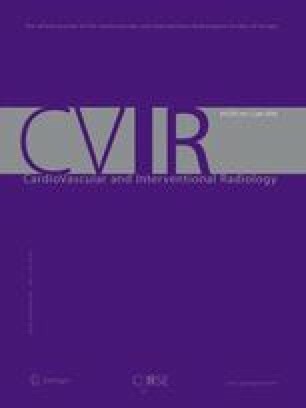 This is the first case of successful emergency treatment of pulmonary artery rupture using an endovascular technique.